Romance at the ready: Emirates Wolgan Valley One & Only Resorts is a treat for lovebirds. Looking for romantic ideas for your adventures with a loved one in New South Wales? We dig up 8 great ideas thanks to the Destination NSW team. 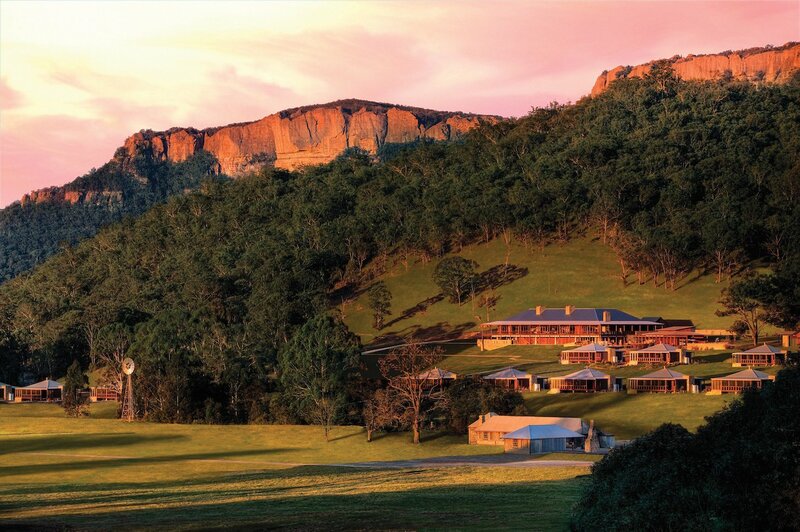 For a wellness escape steeped in luxury, stay at the remote and heavenly Emirates One & Only Wolgan Valley (pictured). With an established reputation as one of Australia’s top retreats, it boasts 40 heritage-style villas with private plunge pools and extraordinary views. The two-night Romantic Retreat includes a 90-minute couple’s spa treatment in the wellness sanctuary; gourmet picnic on a private deck, in-villa breakfast with Champagne, gourmet lunch and more. A dramatic setting on Illawarra Escarpment make Tumbling Waters Retreat a spectacular couple’s escape blending natural beauty and relaxed luxury. There are seven room types to choose from with handcrafted furniture, breezy styling and stunning ocean views. You can swim in the infinity pool, tuck into seasonal produce at Dining on the Edge or unwind with a massage in your room. Our pick is the new oceanside suite Amanzi with a tropical ambience and freestanding tub overlooking the beach.